Today, Jesus tells us about two men, a Pharisee and a tax collector. It seems like the Pharisee is a real jerk. His prayer is all about himself. “Thank God I’m not like the rest of humanity.” The second guy, a tax collector, someone despised by his fellow Jews stands off in a corner and asks God for forgiveness. And he needs it. Tax collectors made their living by over-charging their fellow Jews. Then they’d send what was really owed to Rome and keep the rest for themselves. They weren’t the most popular guys in town. But, that was then. Admit it, you’re happy to hear Jesus say that the tax collector will go home justified while the Pharisee won’t. “Whoever exalts himself will be humbled, and the one who humbles himself will be exalted.” But is that all there is to this story? Remember, Jesus is the Son of God. He’s the one who will come back to judge us all. It’s His right, in fact it’s His job, to judge each of us, including the two men in the story. What about us? Are we supposed to judge one another? I don’t think so. Yet, but by telling us this parable, it almost seems like He’s encouraging us to pass judgment on the Pharisee too. But if we judge the Pharisee to be bad, aren’t we just as wrong as he is? Isn’t part of Jesus’ message that He gets to judge but we don’t? The first reading, from the book of Sirach says “The Lord is a God of justice, who knows no favorites.” We know that’s true. He loves all of us equally. So, even if the Pharisee went home unjustified by his self-centered prayer, he didn’t go home unloved. God loves him just as much as the tax collector. And, both men did come to the temple, after all. It’s kind of like all these pumpkins in front of the altar. They’re there to signify the fall season. It’s harvest time. Time to collect the fruit of the vine and begin to lay up our supplies for the cold winter months. But they’re also a visible sign of one of the lessons in today’s readings. They’re all pumpkins (except for the gourd), but they’re all very different. There are big ones and little ones, pretty ones and not-so-pretty ones. They’re not all the traditional pumpkin-orange color. But, we know that inside there’s a pumpkin pie just waiting to be let out. They look different on the outside, but on the inside they’re all the same……..unless one of them has gone bad. One of our pumpkins might be rotten on the inside. But, you and I can’t tell that by looking. Like you and me, the rottenness, (in people it’s called sin), is on the inside. The one who looks the best may actually be the worst ……… Person or pumpkin. Sometimes you can see it. Someone who publicly supports abortion isn’t hiding their sinfulness on the inside. That’s obvious. But most sin is more subtle than that and it’s hard for us to see. Sometimes even the sinner himself doesn’t see it. Like the Pharisee. Based on his culture, his upbringing, the actions of his fellow Pharisees, he thought he was righteous. In fact he thought he was so righteous that he was better than everyone else. It’s the same with us. We may all look different, but we’re all people. We may be big or small, pretty or not-so-pretty. We may even be different colors, but in God’s eyes we’re all the same. He loves us and He wants us to be all that we can be. So, when Jesus points out the problem with the Pharisee’s prayer, He’s not inviting us to pass judgment. On the contrary, He’s using him as an example for us. Don’t be self-righteous. Don’t put yourself above others. Don’t brag about your faithfulness. As people of faith, we’re still all fallible human beings. For many of us our greatest fault is seeing that splinter in someone else’s eyes and ignoring the plank in our own. Sometimes that splinter that we think we see is just a reflection of our own plank. The bottom line is that we’re not going to get into heaven by comparing ourselves to others. That’s just an invitation for us to find fault in our neighbors. It’s a whole lot easier to take them down than it is to build ourselves up. What God wants us to do is to be the best WE can be. We should be comparing where we are in our spiritual life versus where we know we should be. When we realize that we’re coming up short, that’s when we say to God “Be merciful to me, a sinner” and really mean it. It wasn’t easy to be a disciple in the first century just as it isn’t easy today. In today’s Gospel (Lk 12:39-48), Jesus has given the disciples a parable when Peter asks the question. How does Jesus answer him? With another parable. We know that Jesus later explains his use of stories, but in this scene, Peter must have been left scratching his head. Isn’t it the same today. When we ask Jesus a question, he rarely gives us a direct answer. It’s all about free will. You and I have it. It’s a gift from God. He never makes us do anything. We always have a choice. It’s our choices that help determine our eternal destiny. But, if He tells us what to do, as believers, we have no choice. If we pay attention, He will give us clues; bits and pieces of an answer. But it’s our free will that will ultimately decide. If we value our freedom, then we don’t want God to tell us what to do. Another problem that many of us have is that we spend a few minutes in prayer, telling God how to be God (Give me this. Fix that. Lord, give me patience. Do it now!) and asking Him for guidance (Lord what do you want me to do?) then we plug in the iPod, or turn on the television and we wonder why He doesn’t speak to us. Guess what? He’s speaking to us all the time. We’re not listening! Most civilized people would never ask someone a question then turn and walk away before he has a chance to answer. Shouldn’t we give God the same consideration? 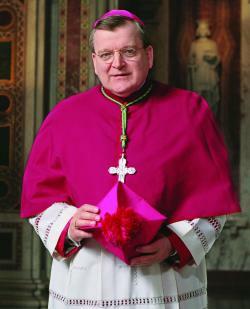 Our prayers and best wishes go out to Raymond Leo Burke who will join the College of Cardinals on November 20. The Cardinal-designate was the Archbishop of Saint Louis from 2004-2008. I had the privledge of serving on the altar with him when he was here, both at the Cathedral Basilica and at parish confirmations. He’s a gentle, humble man who always seemed to enjoy interacting with the people. In spite of the efforts of the local press to paint him as some kind of tyrant, nothing could be further from the truth. As one of 250 deacons in the Archdiocese, I was always impressed and a little amazed that whenever I met him, he knew who I was. He was always focused on the person he was talking to. Speaking of media, I realize that midwesterners always feel we’re being slighted by the national press. Here in “flyover country” we expect to be ignored and usually are. The major winter storm that buries Saint Louis in snow is a footnote on the national news. But, when it hits the east coast, it suddenly turns into the biggest event of the century. The new cardinals include Archbishop Raymond Burke, the former La Crosse, Wis., bishop who now leads the Vatican’s supreme court. No offense intended to the good folks in La Crosse, but Archbishop Burke’s most recent American assignment was as Archbishop of Saint Louis. The Gateway City, sometimes referred to as the Rome of the West is substantially larger than La Crosse and is an ARCHdiocese, and not just because of that big shiny monument on the river front. I know, it’s not a big deal in the grand scheme of things, but by ignoring Abp. Burke’s four years in Saint Louis is either a major oversight, or a deliberate slight. Either way, it’s not good journalism. That’s my rant for today. Thanks for reading and stay tuned for another post later today. I don’t normally post on Sundays when I don’t preach, but my pastor made a couple of good points this morning that I’d like to share. First, prayer doesn’t change God. Prayer changes us. Second, prayer isn’t something you do. Prayer is a way of life. 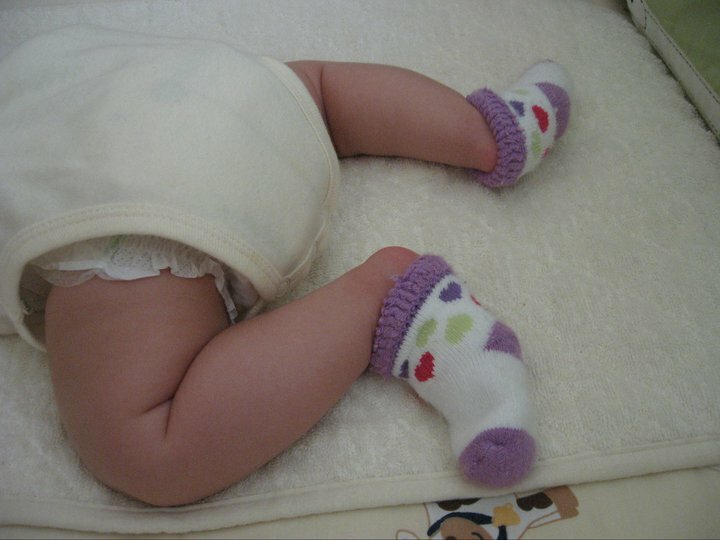 Is there anything cuter than babies’ feet? 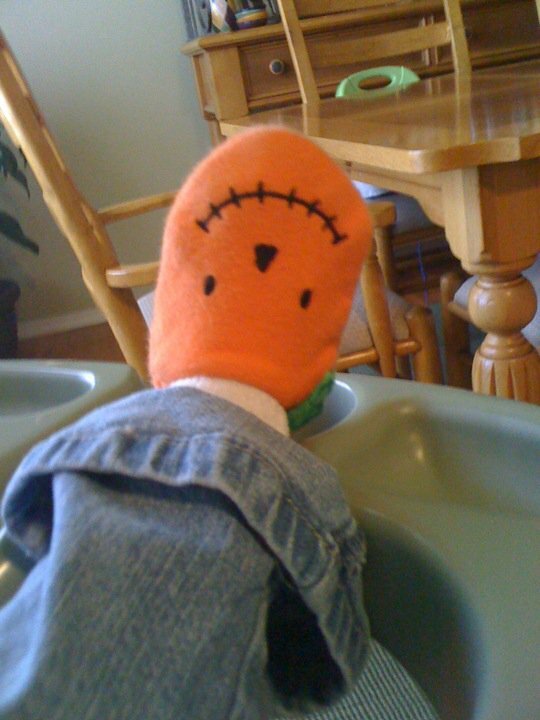 In the last week or so, my baby granddaughters have both had pictures of their feet posted on facebook. (Actually Morgan’s picture is of only one foot.) Anyway, here they are. Enjoy! Monday and Wednesday are my usual bike-riding days. I assisted at a funeral this morning so I left the house dressed for a funeral with my bike on the back of the car and my riding clothes either under my deacon outfit or on the front seat of the car. I changed after the funeral mass and was off to the trail by 11:00. In my hurry to get everything ready, I forgot my iPod. 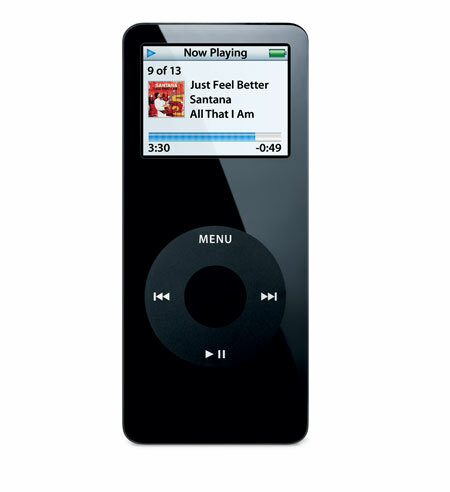 I always ride with the iPod because it passes the time (I thought) and because it makes exercise time learning time as well. I listen to podcasts, either from Catholic sources or from other educational web sites. I realized that I was iPodless when I got to the trail head of the Grant’s Trail. While I was on retreat I discovered two audio programs from Matthew Kelly. If you don’t know Kelly, and you should, he’s a Catholic author and speaker. One of his suggestions that I’ve been following for the last few weeks is that you should take a journal with you to mass. You should record in your journal one thing that you learn at mass that will help you be a better version of yourself the following week. Obviously, this does two things. First and foremost, it makes you pay attention to the mass. God speaks to us in the liturgy but we’re not always paying attention. Second, at the end of one year you’ll have a journal of 52 things that will make you better. Like I said, I’ve been doing this since I returned from retreat. The very first thing I wrote in my journal, the very first week was “The real value can be in what isn’t said. Respect the silence.” I thought about that this morning and decided that leaving the iPod at home wasn’t such a bad thing. For almost three hours I road the same trail I’ve been riding for four years and saw things I’ve never seen before. I really looked at the woods that line the trail on both sides and thought about all the life that exists there. Right in the middle of the Saint Louis suburbs there are deer and turkey and who knows what other kinds of wild life that live their lives surrounded by homes and businesses. 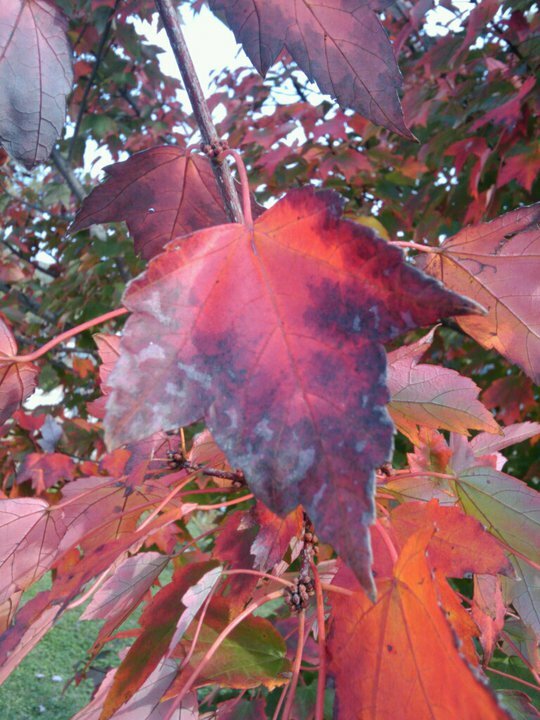 I noticed that the leaves have started changing and how beautiful the colors are already. God’s creation is truly amazing! I actually looked at the other people on the trail, bikers, runners, roller bladers, and people just walking. I smiled at them and wondered what they were thinking about. I talked to God, especially thanking Him for this beautiful day and for all the blessings in my life. I learned more today than I would ever have learned listening to the mp3 player. And the time passed very quickly. We live in a world where we are constantly bombarded with sounds. Some we can avoid. Some we can’t. Some we subject ourselves to, thinking that we just can’t get along without some kind of soundtrack to our lives. It’s just not true. The real value can be in what isn’t said. Try it. You may be surprised in what youi’ll learn, about your environment and about yourself.